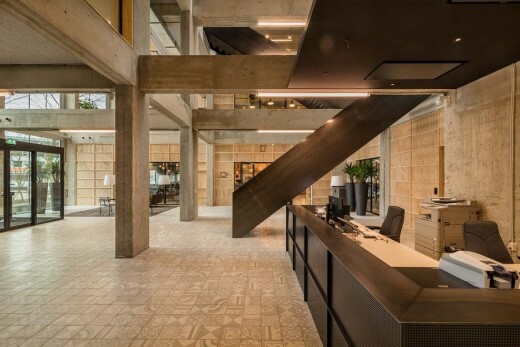 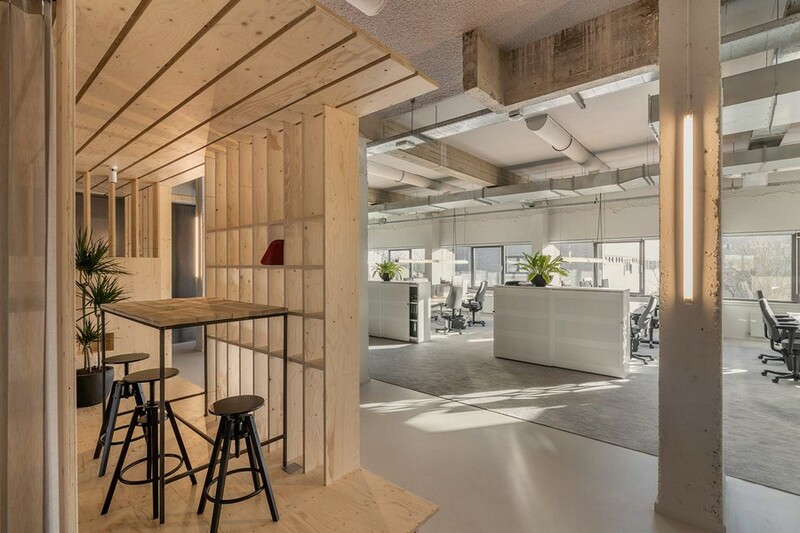 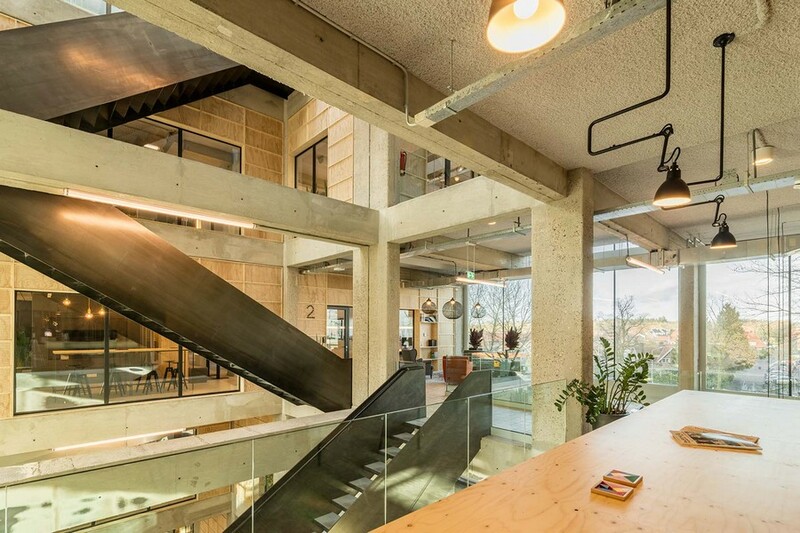 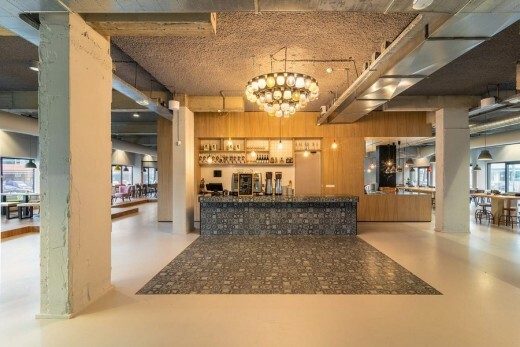 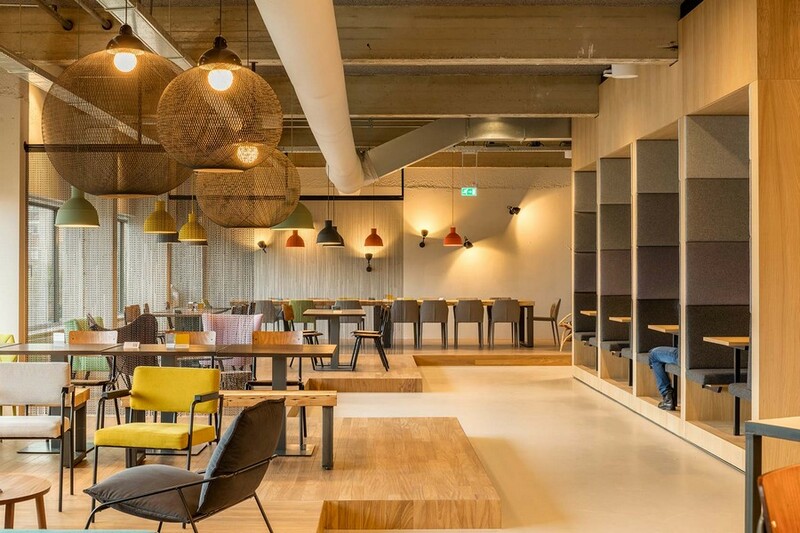 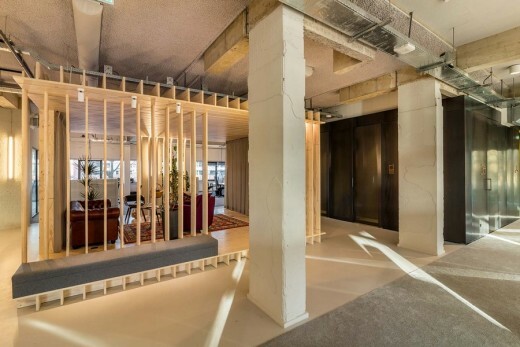 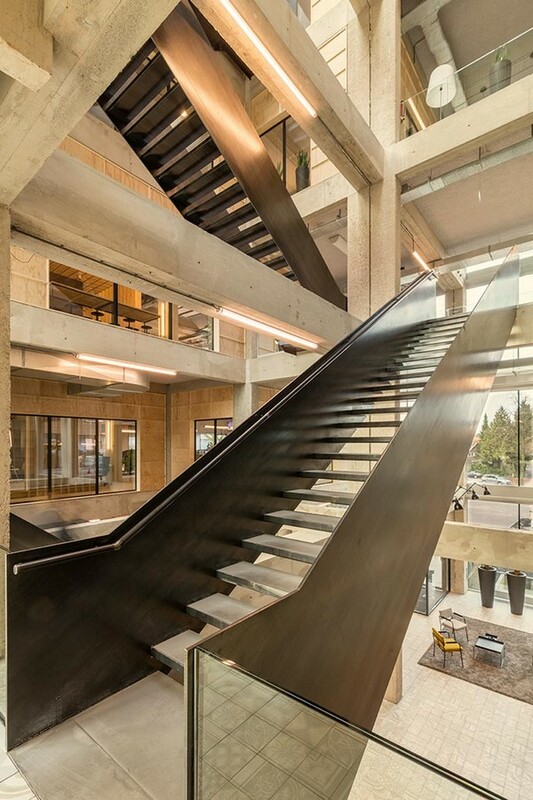 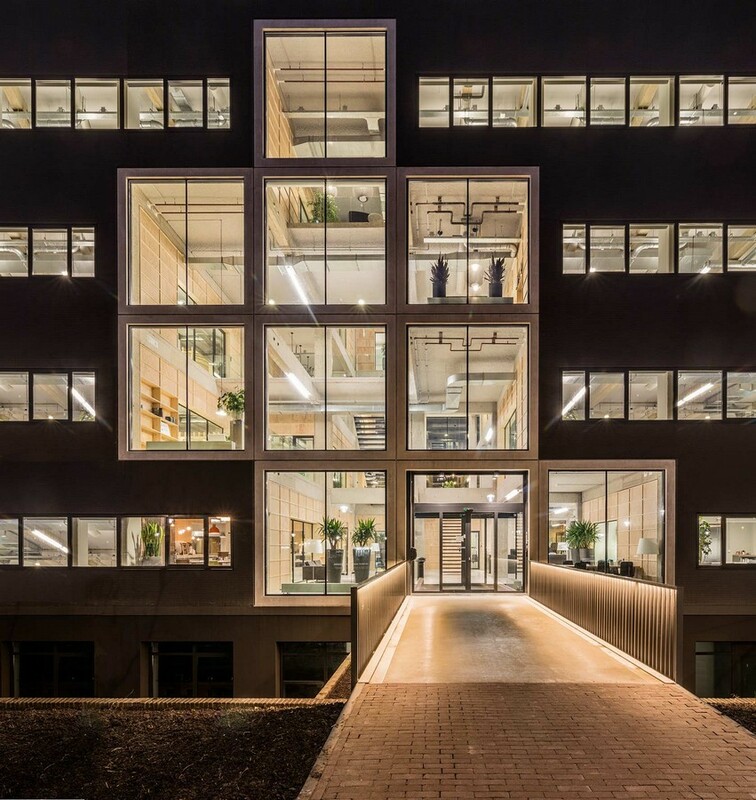 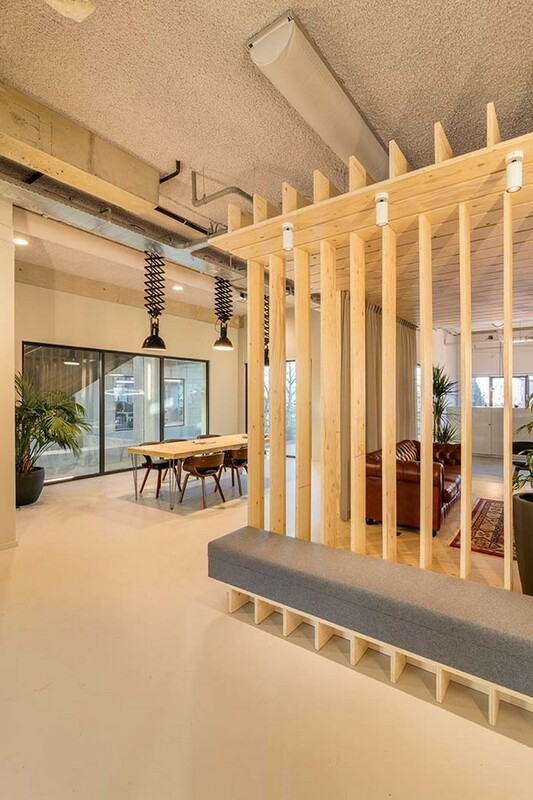 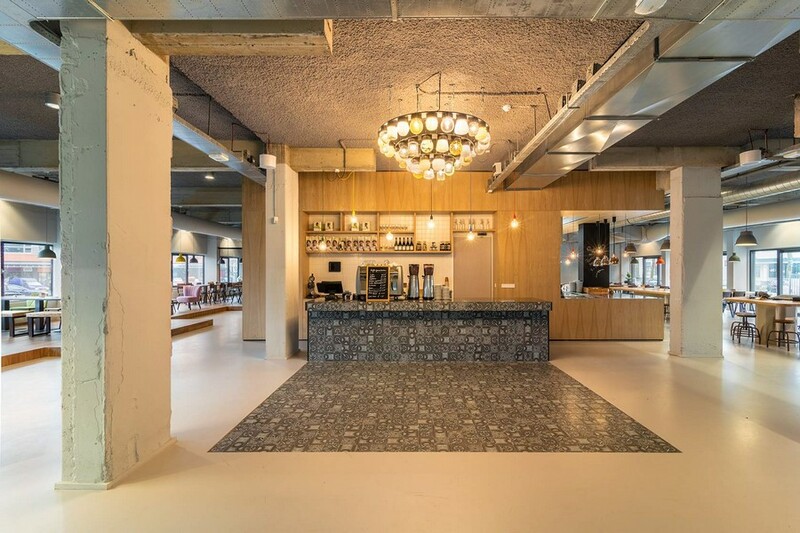 Studioninedots Major transformation project gives Lucent industrial site a new lease of life Studioninedots’ design transforms an existing 1970s office building on the Lucent site in Hilversum into the new headquarters of de Alliantie, a Dutch housing corporation. The most eye-catching intervention involves the removal of large areas of infill floors and walls from the sturdy concrete structure. This creates a spectacular four-storey-high void, the light and lively new heart of the building that connects the different departments. 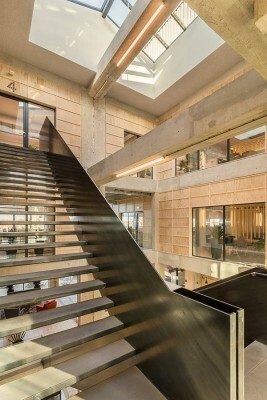 In this way the concept of connection was integral to the design. 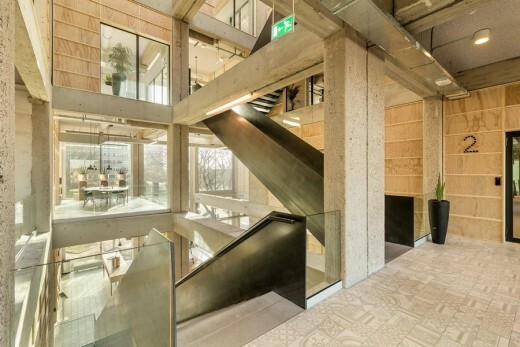 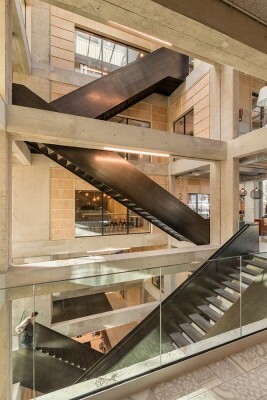 The new headquarters functions to consolidate de Alliantie’s regional offices, and facilitate new interactions between both colleagues and visitors through collective functions, which are centred around the atrium. 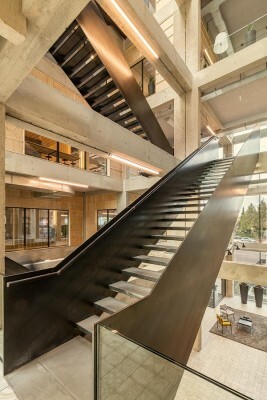 These functions include the lobby, restaurant, library and kitchenettes on each floor. 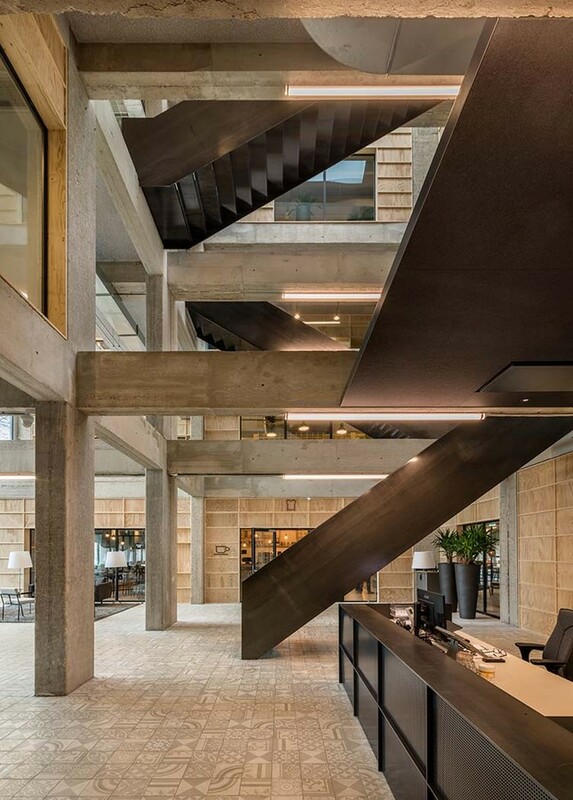 Spatially, the dynamic character of the atrium is accentuated by crisscrossing steel staircases, cantilevered balconies, walkways and vistas, but most of all through the void that zigzags within the concrete frame. 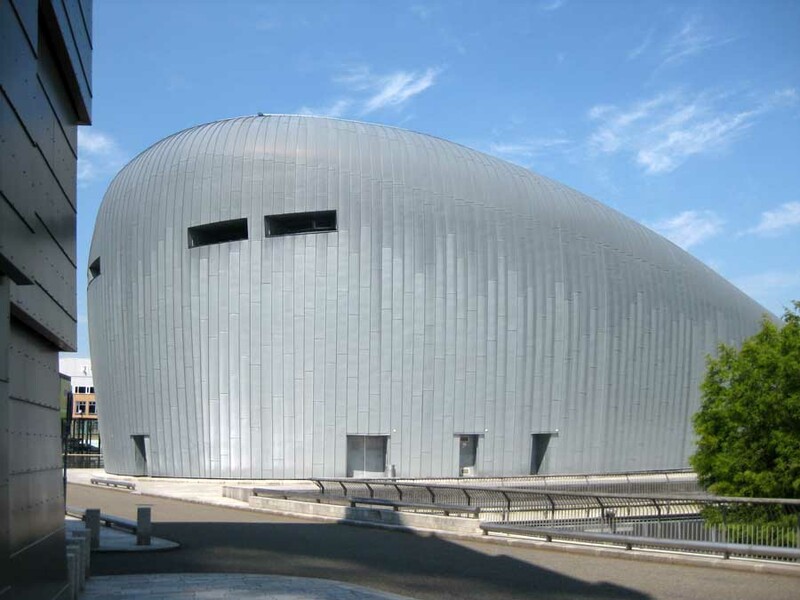 This dynamism is also expressed on the facade: large glazed surfaces within the structural concrete framework cut out a Tetris-like form from the anthracite-coloured facade, which lends the building its prominent new identity. Internally it’s immediately clear that the removal of floors and walls has literally resulted in more space and daylight, which now floods the 22-metre-deep floor plates of the once dark building. 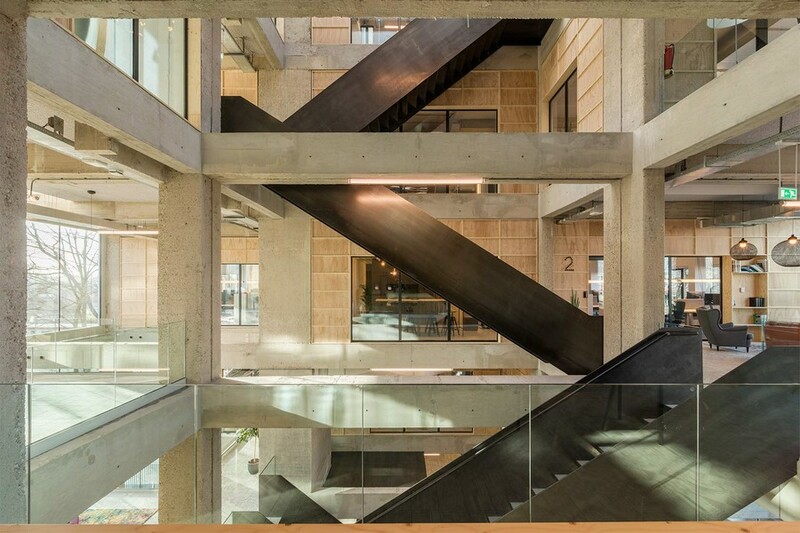 The structural framework in the atrium is infilled with perforated wooden panels and steel frames. 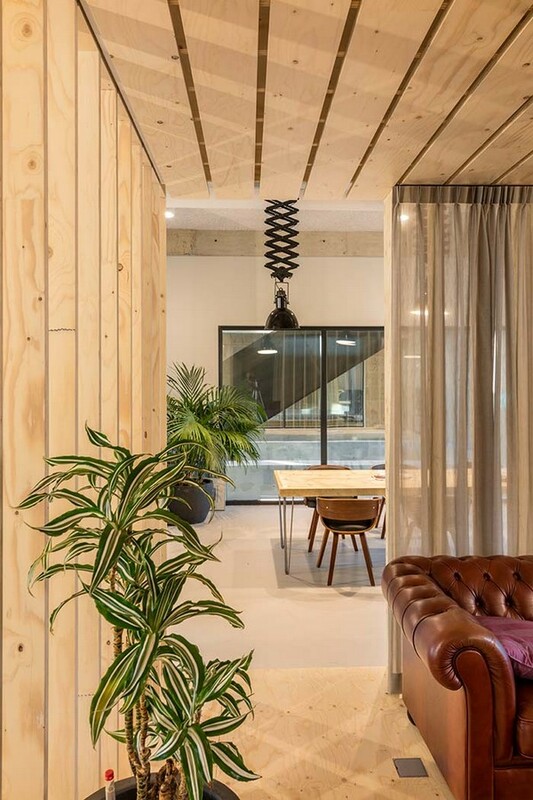 Besides their acoustic function, the walls also incorporate various functions such as the kitchenettes, library, storage and displays. The former Lucent industrial site in Hilversum is currently being transformed into a mixed-use residential/commercial district. 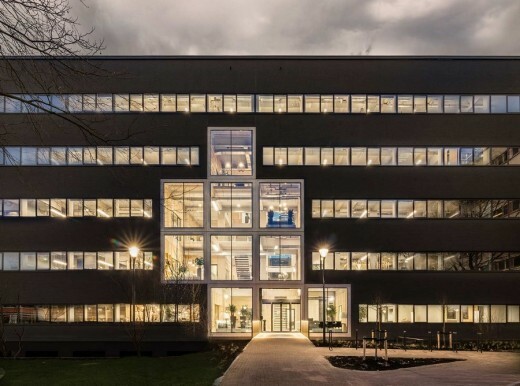 The last companies vacated the site in the 1980s, and two of the five office buildings were retained. Being in good condition, these two buildings could be renovated to easily gain a new life. 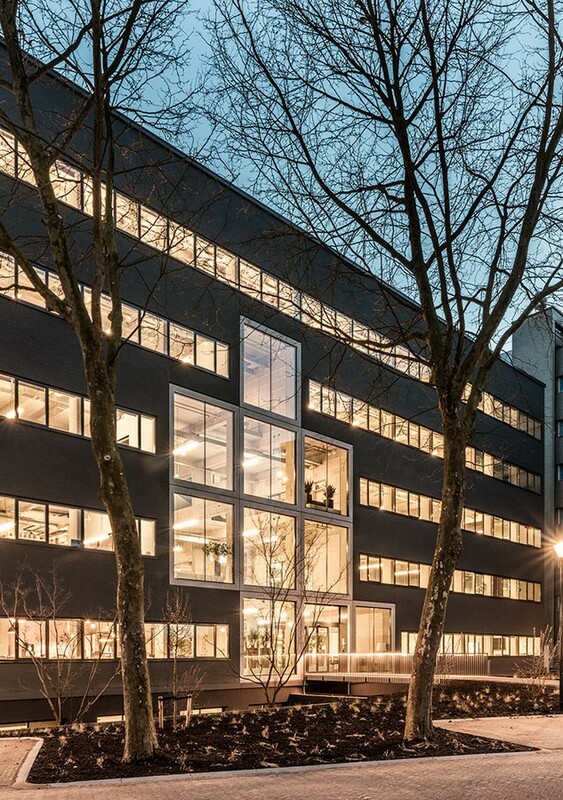 In addition to designing de Alliantie’s headquarters, Studioninedots is also repurposing the second building into an apartment complex, due for completion at the end of 2016.